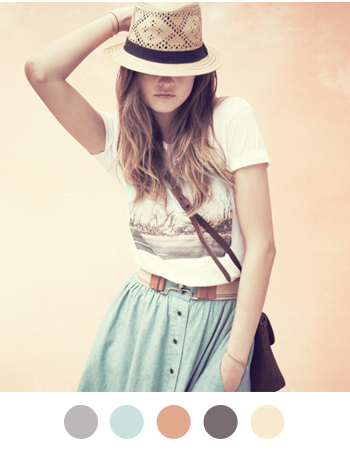 Love the skirt with belt & the hat is always a nice touch. I adore the outfit and the color palette. Definitely one of my favorites!